Involvement as a cornerstone of learning can be found in old Chinese proverbs (“Tell me and I'll forget; show me and I may remember; involve me and I'll understand”) as much as in more recent theories of learning (as for instance Bloom’s taxonomy and its more recent derived works). From the learner’s perspective, to get involved in learning means to abandon the passive role of the learner and to adopt an active role instead, by engaging with creativity, senses and emotions into the topic. The passion and the creativity put into the learning activity will help making this activity becoming a part of the learner's own experience, helping the learner in remembering and understanding the topic. From the teacher or mentor perspective, a successful involvement of learners could be expressed as reaching the brain by activating the heart and the senses. A powerful mean of activating learners is to have them describing and re-telling the topic that they are learning on from a particular perspective. By preparing an abstract, by applying the knowledge to an example or by using the knowledge to analyze and evaluate a particular situation. For instance in a learning situation about a company policy, a learner might be asked to analyze how the policy would apply to a particular situation (as in a simulation). In another example, for instance a learning situation about physics, a student might be asked to describe how a force would affect a system in a particular situation (apply the theory by predicting a result, and then verify the validity of the prediction). 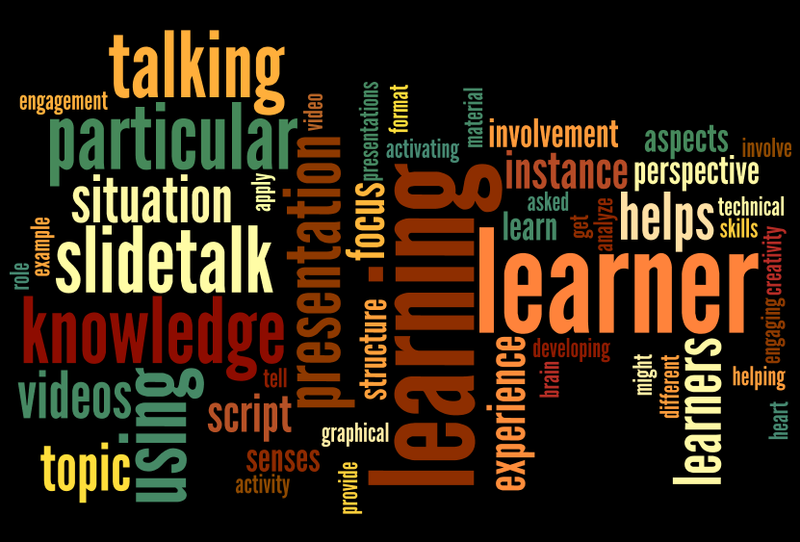 We will now focus on the practice of involving learners by letting them building presentations that re-tell a learning experience from a particular angle, for instance by highlighting a particular aspect or by describing a particular case. The planning and production of a talking video using the SlideTalk service will prove to be an engaging and rich learning experience for the learners. The learner will also be able to experiment in using other communicative tools like switching between voices (using different personas to tell different parts of the story) or using background music to establish a mood. SlideTalk is designed to hide all technical difficulties from the learner, helping to keep focus on creating, structuring and presenting content and removing distracting technical details. An introduction to SlideTalk and its different application areas. A tutorial on how to turn PowerPoint presentations into talking videos. Tomorrow, 2nd April 2014 is the World Autism Awareness Day. We celebrate it by sharing an article we published one year ago on elearningindustry.com about Talking Social Stories, a device used to prapare children with autism about what is planned ahead to reduce discomfort, distress and conflicts. 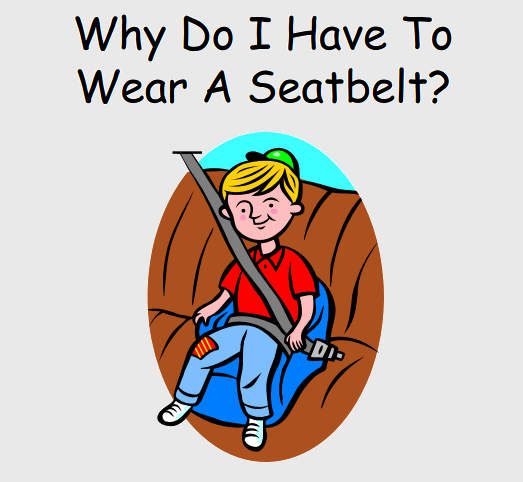 The following SlideTalk video exemplifies Talking Social Stories by explaining what happens during a car drive and why is it important to wear seat belts. Click on the picture to open the video page. You can create your own Talking Social Story video at slidetalk.net. Try today!